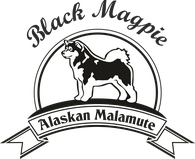 About us - blackmagpie-alaskanmalamutes Webseite! Hi folks, I am Amy, the youngest in our team. My boss said "Write something about us". So, here we go. We live in Wahrenbrück, a small town in Southern Brandenburg, Germany. With the three bipeds (Maik, Evelyn, Madlin) and my two flat mates and work colleagues Joy and Gus, we do many fun things here. Our property is surrounded by greenery along the river "Schwarze Elster" (Black Magpie). From here, we start our scooter, walking, or bathing tours. Sometimes we just play and have fun in the meadow. When the big blue car leaves the garage, we get excited. My friend Gus and I are very happy because this means we will soon be on tour. 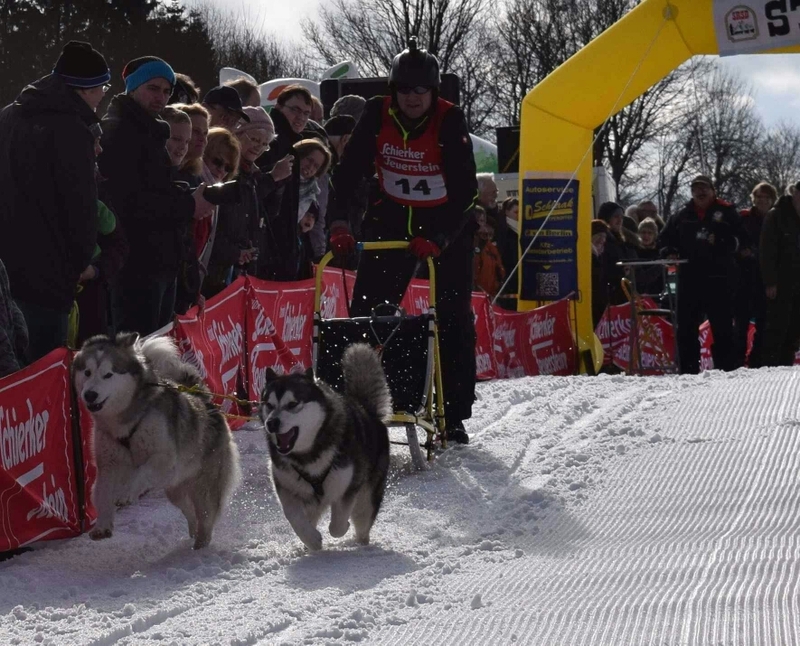 Either racing against other sled dogs or standing still in a large hall and adoring my boss. If I do that correctly, I will sometimes gain a prize - and see here – my humans are happy, so am I :-). 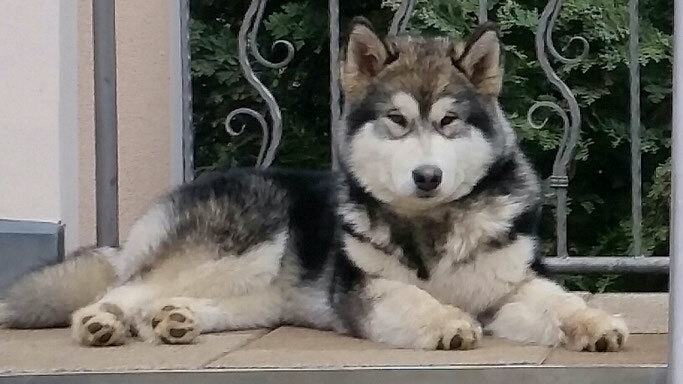 Joy does not like these things quite so much and still she is the leader of our pack. Gus is a real buddy, he runs as much as I do and also wins prizes. I think when I'm grown up, I'll fall in love with him. If you want to visit us or talk to us, just write me.